I don’t wear a lot of prints, but my favorite print to wear is stripes, especially for spring and summer. 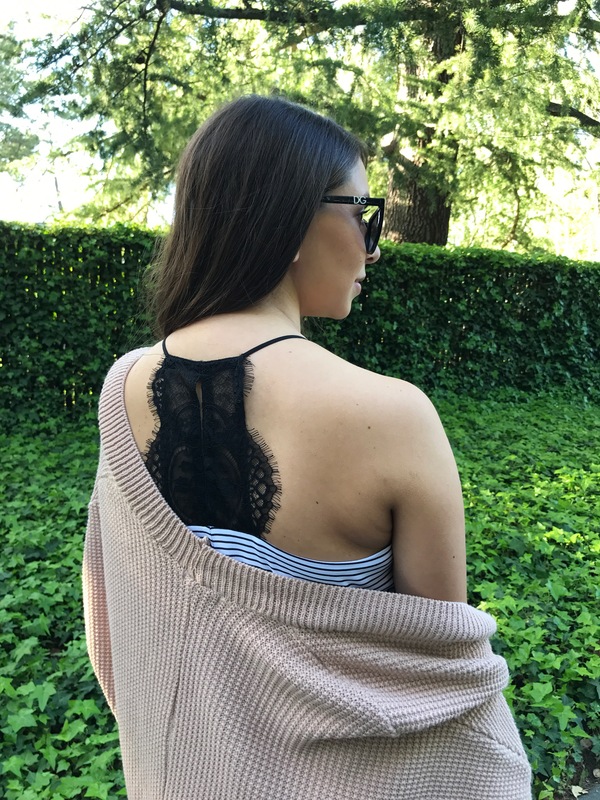 I love this striped tank top with lace detail on the back. I think it’s a really pretty accent to the back of an outfit.